So simple and quick to make! Serves one. 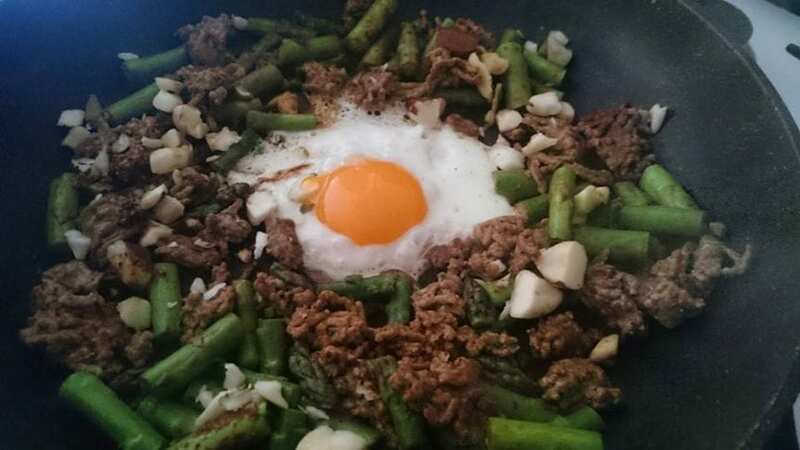 Use a little coconut or olive oil spray and grease a hot saucepan before adding the mince and the asparagus and cooking until brown and tender. Add the brazil nuts and continue cooking before making a hole in the centre in which to crack the egg. Before serving, drizzle the beef, asparagus and nuts with the miso paste.